If gleaming white plastic and brushed aluminum don't suit your fancy when it comes to keyboards, a French design shop called Orée will hand craft you a beautiful alternative made from your choice of either maple or walnut wood. But if you thought keeping your current keyboard clean was a pain, imagine having to sand and re-stain it every year. 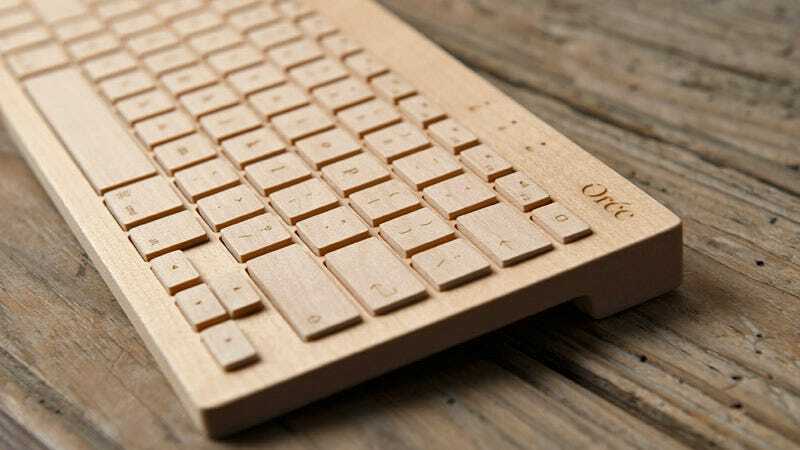 At $164 the Orée Board is more than twice what you'll pay for Apple's own wireless Bluetooth keyboard, but you're paying a premium for craftsmanship, the ability to customize the key layout including the font, and of course, the occasional splinter. No pain no gain, right? While Orée promises the utmost precision when it comes to all the keys and their assembly, it's still made of wood which expands and contracts with the temperature and humidity. So depending on the weather it could either look like a beautiful piece of finely crafted art, or a C+ high school shop class project.